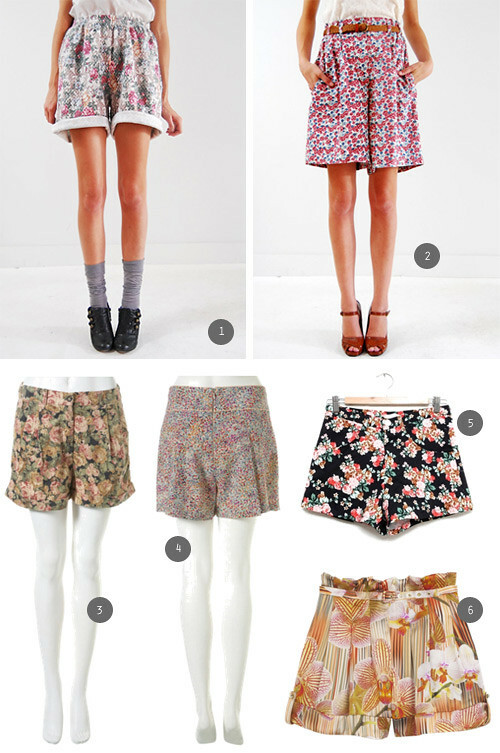 Love the floral shorts trend happening right now! They were quite popular in the 80's and 90's. I remember wearing quite a few (floral biker shorts and denim florals) with high tops or jellies! Another reason I love this trend? The longer & looser lengths! I've always hated very short shorts and even worse short and tight fitting shorts. Not very many people can wear them and look good, but the new shorts trend is much more flattering. These are so lovely, I want all of them! loving number 4! Checking out the shop..btw..love your music!